And then… nothing ! 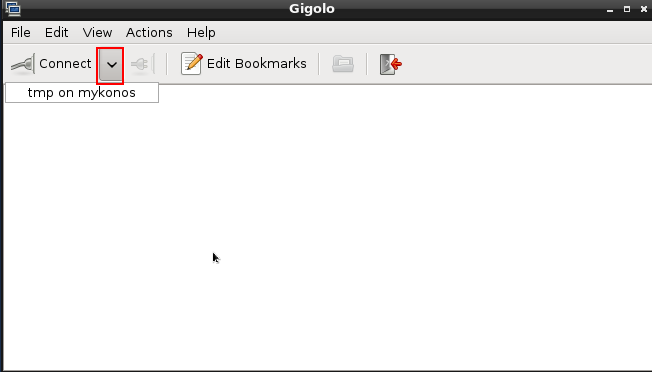 (I was expecting the Linux file manager to automatically popup, which usually happens when the “automount” feature is activated). 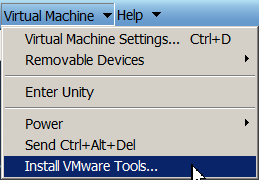 Well, if you have the same problem, then this is easy to fix since it turns out that when you choose the “Virtual Machine > Install VMWare tools” option, VMware player tries to mount the [VMWARE_PLATER_HOME]\linux.iso image. On my Windows 7 laptop, this file is located in C:\Program Files (x86)\VMware\VMware Player\linux.iso. 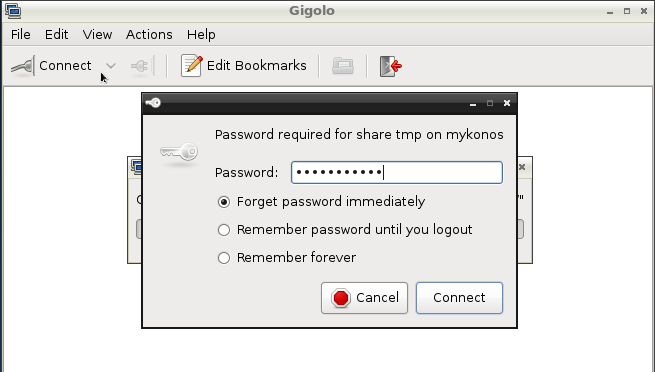 When using Ubuntu or/and GNOME, there are many ways to connect to a Windows shared drive… but how can we do this from LXDE ? 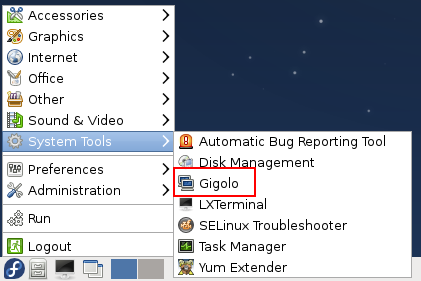 Once Gigolo is started, it will happily sit in your taskbar: this is important to know since closing the application by clicking on the X icon will not really close it, but will put it back in the taskbar. You need to use the “File > Quit” option to correctly close it. 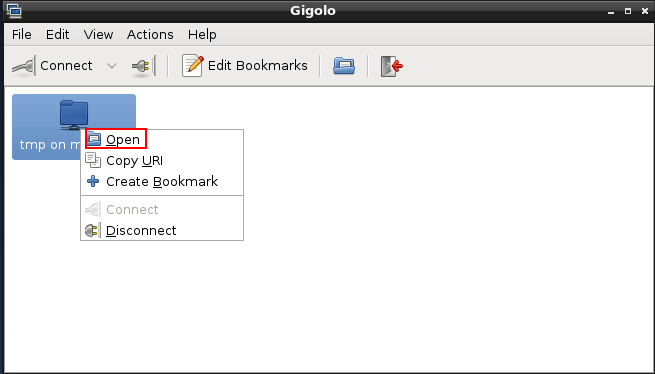 Using the “Help > Supported protocols” option will display the list of supported protocols. 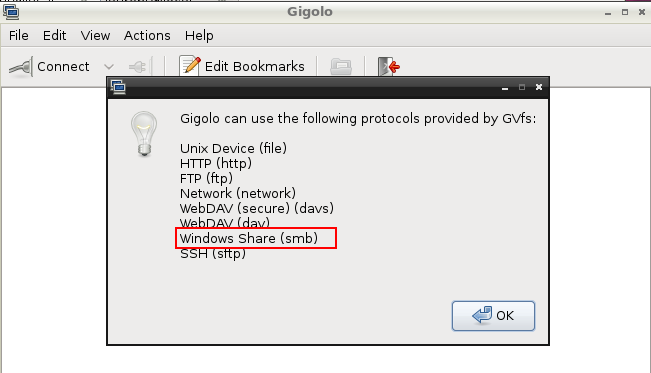 The only we are interested in is called “Windows Share (smb)”. If you don’t see it, then you need to install the gvfs-smb package using yum.